Apps like QuantiLoop have many outputs - MAIN , MONITOR. RHYTHM, track 1,2 etc. Unless i'm missing something - AB3 doesn't have a means from telling what an input is. If the name of any channel ( where supplied by the app developer etc ) can be shown in small font somewhere - this would help a lot. I note that for some inputs from QL there is an icon - but the wording would help too. Wim - im afraid you miss my point. i know how to access the discrete outputs as displayed above - its the fact that AudioBus doesnt show these names once one has CHOSEN one of those outputs after the arrow anywhere in the QL icon or elsewhere. I see your point now. There is a tiny indicator for some apps like Quantiloop. It’s just really small and not super informative I’ll agree. 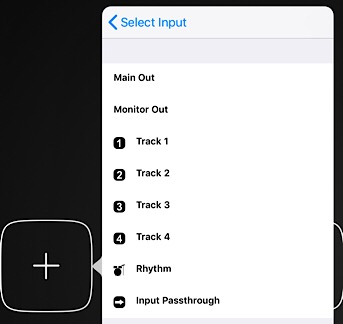 Actually I notice there's a custom icon for several of the outputs - for example rhythm, the individual numbered outputs and input passthrough, but there's no icon for the Main and Monitor outputs - so no way to distinguish those two channels apart in AudioBus. This may be because QL haven't supplied an icon for monitor. 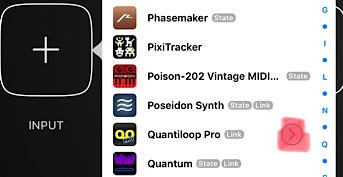 But in such cases it would be good just for AudioBus to use the wording of the channel as given by the app outputting the channels.